This is an excellent starting point. 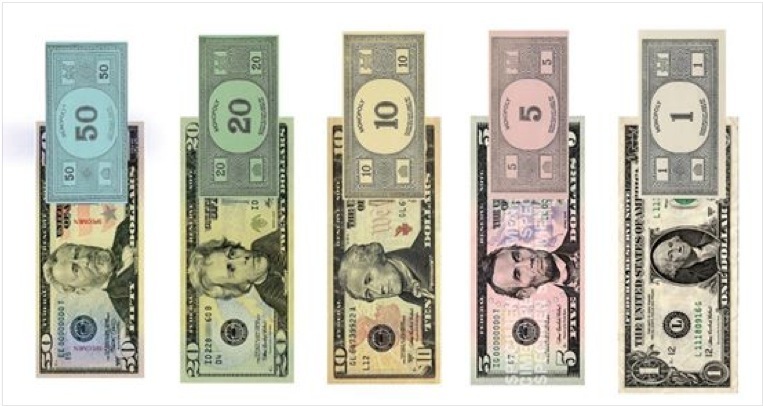 FEDERAL RESERVE NOTES in their default form is an invitation to endorse private credit and slides one down the slippery slope into financial hell. However, there is always a way to correct a mistake. But, remember, the first time it is a mistake, the second time it is a choice, and the third time its negligence. So choose wisely. 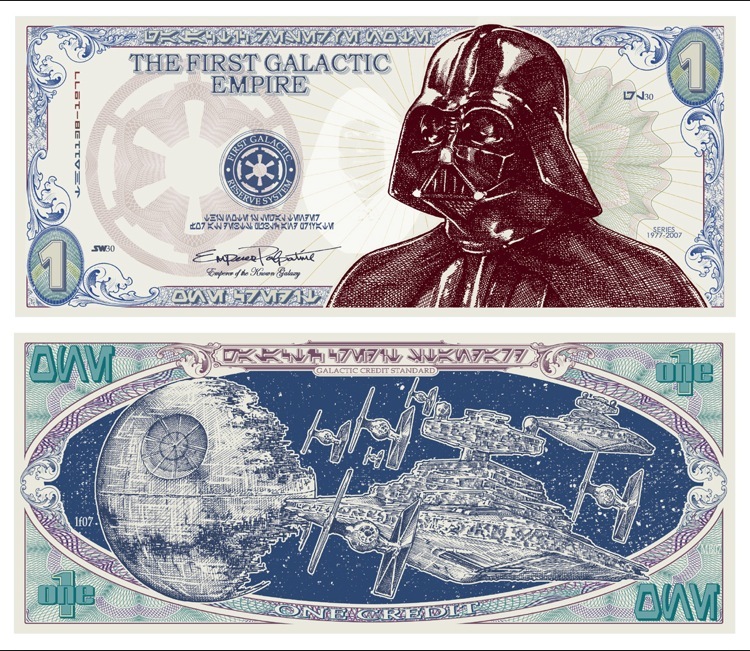 If you knew that you have always had a choice to either endorse the private credit of an International Banking cartel, which would then lead you straight into financial hell, or to elect to turn the fiat currency note into Lawful Money by making a demand to have it redeemed for lawful money… which would you choose to do? 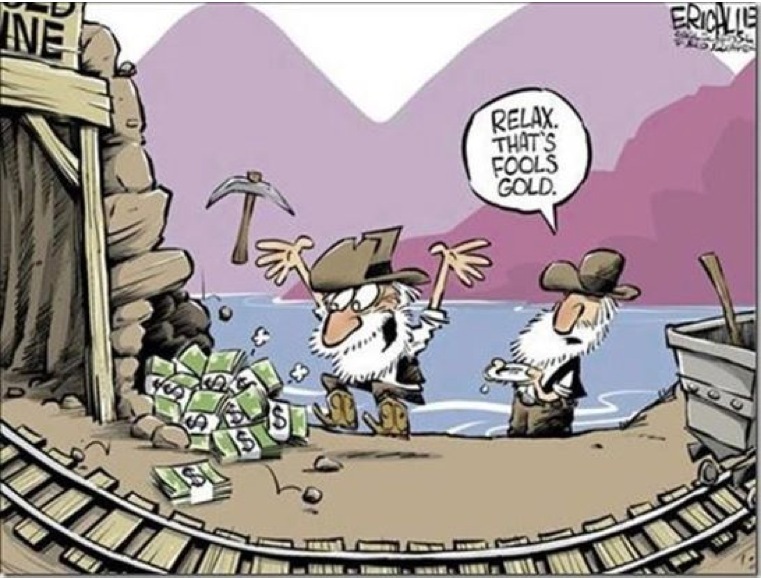 America has a history that is not taught which reveals that a Central Bank has always lead the people into disaster. Just ask the people of Iceland. Oh, that’s right, they got rid of the bankers, didn’t they? Now, why haven’t American’s learned the same lesson yet? I will be honest here and state for and on the record that Americans are not looking to intelligent for not learning by their example. Therefore, this complaint is not without good cause in relation to what a Central Bank is verses a National Bank. There IS a difference! The question is, do you know what that difference is, and if not, then why do you not know? Lets get on the ball here people! 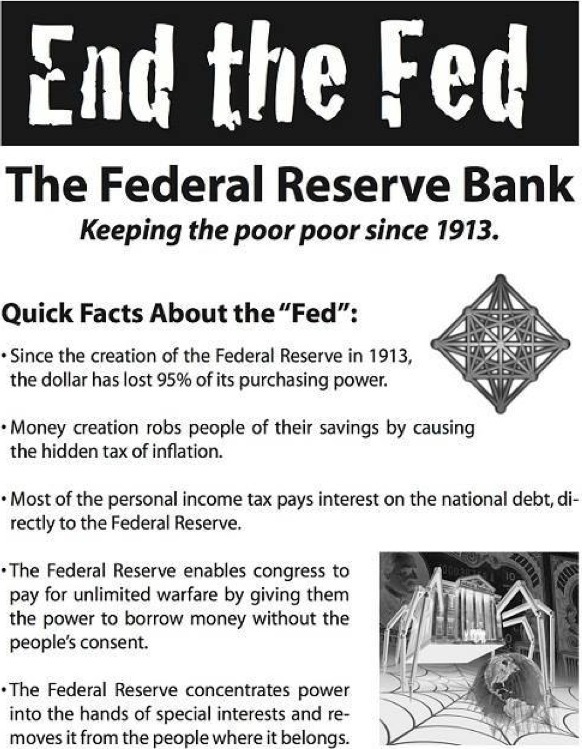 The Federal Reserve Act was passed into law on December 23rd of 1913 at 11:30pm at night. HELLO!? Does this fact cause any kind of question to stir-up in your mind? I certainly hope so. 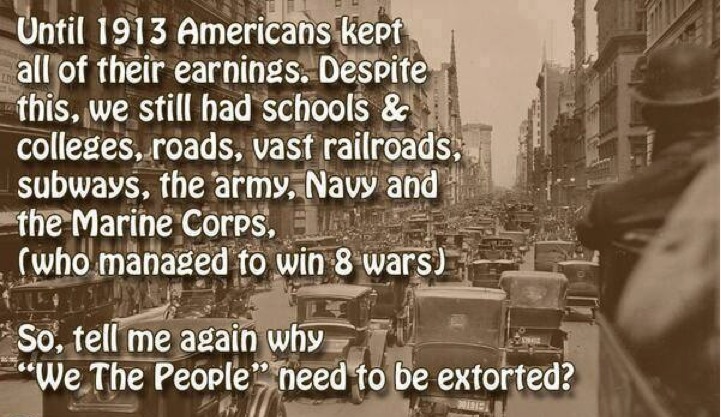 The interesting thing is that there had to be a remedy left in the Federal Reserve Act. Why? Let me put it to you this way. There will always be people who are intelligent enough and Spiritually in tune to figure out that something is wrong and then seek a solution; but then, there will also be those who will know that something is wrong and do nothing about it for whatever lazy-azz excuse they select to justify their unwillingness to study to show themselves approved. Approved for what, you say? How about understanding how to walk on the waters of the commercial world of capitalism commanding and controlling their own vessel, rather than being commanded and controlled by and through the use of a vessel created by another man, which volunteered them into a form of financial slavery. 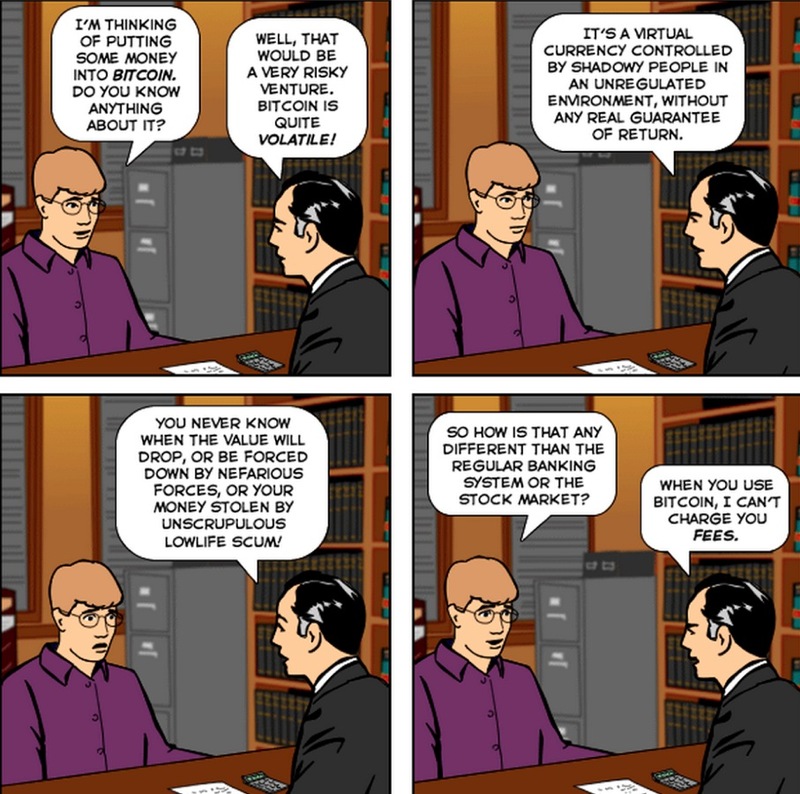 Replace the word BITCOIN with LAWFUL MONEY, and the conversation is exactly the same. However, the difference with Lawful Money over BITCOIN is that BITCOIN is truly NOT a PUBLIC currency. So then, I caution all to consider carefully all the clauses of the contract of making a use of that private credit. The question is, are you exchanging one man-king and master for another man-king and master? Or, are you going to manage your own estate held in your own Private Trust, and then choose to stay in honor with the statues and codes of the PUBLIC TRUST, which does not infer that you have to be UNDER them, as a Peacemaker and Ambassador for Christ? I know, that is one LOADED question, but it is necessary to be asked. However, the real question is, can you stay in the Private and then honorably use the PUBLIC TRUST without violating its laws, rules, regulations, statutes and codes to affect a peaceful means and/or solution for providing for your family and estate without violating the Law of the Private Trust you administrate under the Law of your Creator through your Redeemer? If you see what I am saying, then it is very possible that you have firm grip on how PUBLIC and Private works. 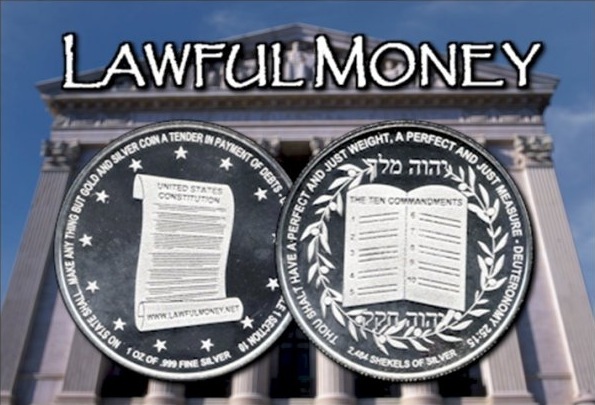 It is a fact supported by OPERATION OF LAW that if you do not demand the currency you make use of to be redeemed in lawful money per 12USC411, then you have indeed elected to endorse the private credit of the private Federal Reserve Bank. Congratulations! You are in bed with Darth Vader, and/or the devil. Wow! Did I just put it that way?! YEP! I most certainly did. Why? Because a remedy and solution is given and if you do not use it then you are in rebellion towards it, and the fact is, it has been provided because all the Sin/Debt has been taken away. The question is, do you see that connection, or do you think that the Creator and Redeemer is imaginary as some are of the foolish tradition of thinking? For it is written that, “Narrow is the gate and difficult is the way which leads to life, and there are few who find it.” Why do you think that faith without works is dead? Why do you think it will only be OVERCOMERS that will sit with Yehoshuah in His Throne upon His return? Why do you think you are here experiencing this world and being tested and challenged by and through what appears to be an evil financial system? Is it really so evil? Or, are there some that have used and abused it thus making it look like it is evil because their intention overwhelms the good purpose of it being used to test one’s faith unto Trust? I know… this is heavy, but far to many of you are not getting this and what it means and I have written plenty on this subject showing the connection between belief, faith and trust being THEE test that is ultimately going on that everyone experiences while in this physical body of flesh. Everything of the physical is a type of the Spirit. Everything we experience is by design and for a good and grand purpose unto the fulfilling of one’s destiny. It is my hope that you come to know, realize and manifest this. It would appear that the FEDERAL RESERVE BANK does serve a purpose in testing the heart of men to either elect to live by the Law of God, or to chose another created being to be their King… as in Man-King… as in 1 Sam 8. Read it! We were all given notice by the Creator El Elyon of what the folly of that decision would do to us and yet we still have chosen to ignore His wisdom and go our own way. No wonder Hosea 4:6 is in full force and effect. When we choose to elect another man to be our King this is the result of that folly. What better example do you need that this? Or, do you think that this example is in error? If so, I do hereby formally challenge you to show how this is not true. Good luck with that. BUT, there one other difference! 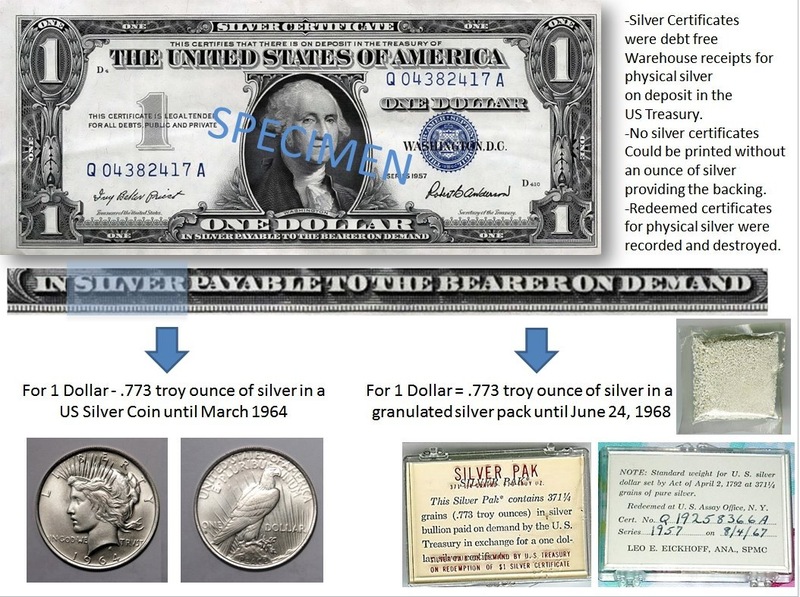 One of them can be REDEEMED FOR LAWFUL MONEY PER 12USC411 as clearly stated in Section-16 of the FEDERAL RESERVE ACT thus taking whatever the transaction is out of the FEDERAL ZONE making it a NON-TAXABLE EVENT! Yes, you have been redeemed without money. This is a fact for those with eyes to see and ears to hear. “For thus says the Lord: “You have sold yourselves for nothing, And you shall be redeemed without money.” Indeed, we have all been redeemed by the Blood of the Lamb, and His Blood was and still is PRICELESS. That is why He took away all the Sin of the world by His Blood. Now then, why do men still toil around in SIN/DEBT unto unbelief in that being taken away? Because of stubbornness! Because of unwillingness to finally come to the end of one’s own way, which is against the Will of God. Until one surrenders their own Will and Way for THE WAY and His Will that one is essentially “LOST AT SEA.” And that brings the connection directly into why there is a national debt, because people are still believing in Sin and that Sin has more power than the Redeemer’s Blood. Do you see how the physical is a reflections of the Spiritual state of mankind? It gauges it perfectly! So then, only those that do believe, agree and place Trust in His Blood for doing exactly what He claims it has done. Indeed, these are Redeem without MONEY. But, for those that have no such faith unto Trust… what are you going to do for your own salvation, not to mention your own Estate and Title whilst you are still here in this physical body of flesh? How are you going to even bring balance to the physical books if you are not balance Spiritually by submitting to the Law of the Trust of God in obedience so that not only can you see the provision that has been provided, but also claim it and use it according to the Will of God? Yes, for those of you who disparage those who do have faith, how will you redeem yourself without the Redeemers blood? There can only be one way, and you better make sure that your blood IS as pure as His blood. Else, you are sunk by your own arrogance, ignorance and egotism. 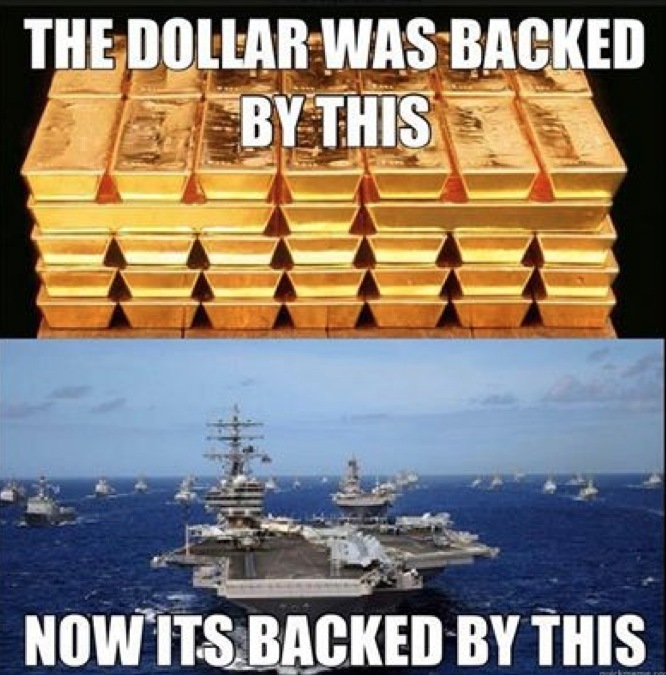 Basically this image is true, because the entire world has been held hostage by the FEDERAL RESERVE SYSTEM through its international agent called the INTERNATIONAL MONETARY FUND (IMF). 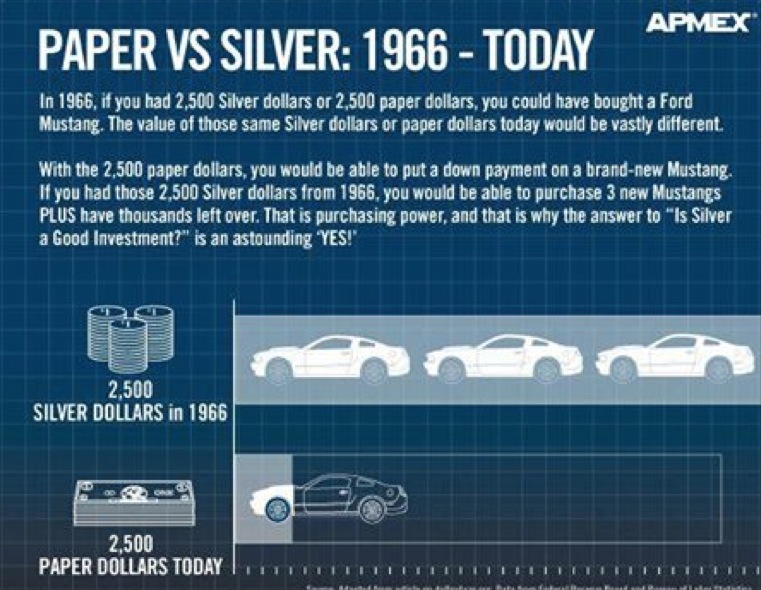 The world was forced to use only the Federal Reserve Note to buy and sell oil. 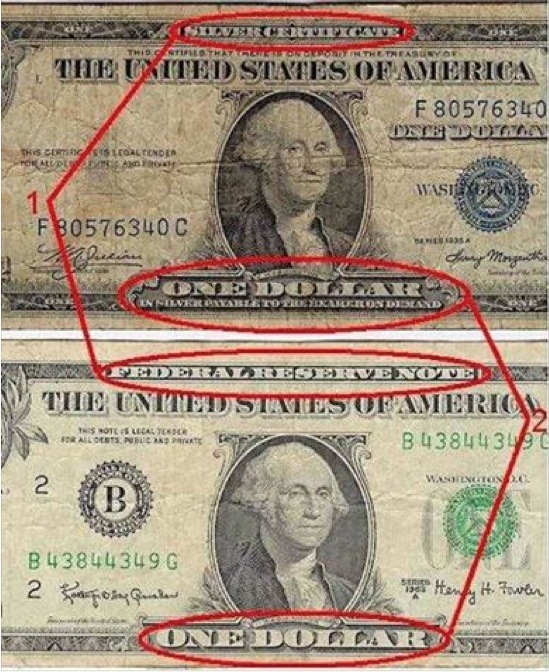 This is why the Federal Reserve Note is also called the PETRODOLLAR. This has all been effectively done at gun point. 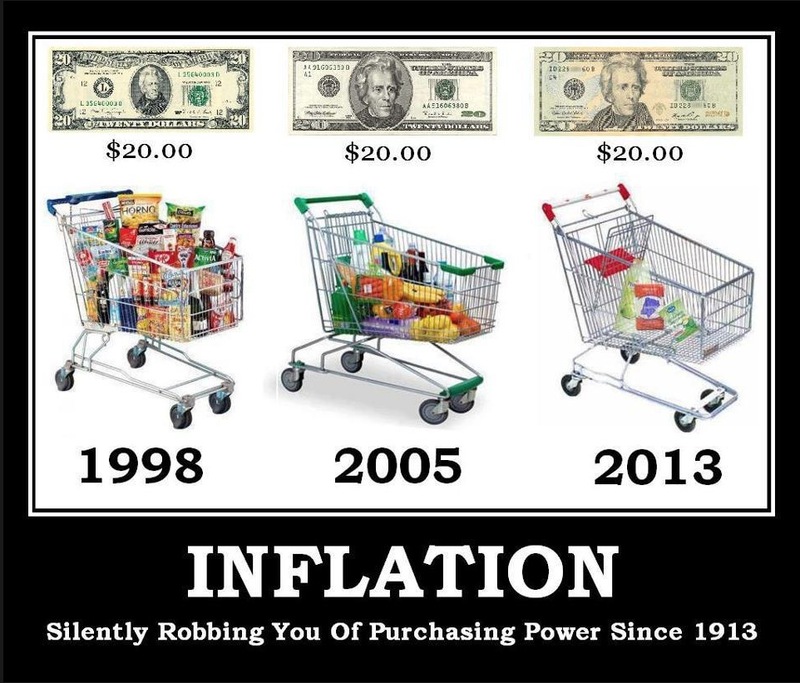 You can still have virtually the same affect by redeeming the fiat currency into Lawful Money. This is an election. You either endorse private credit by not demanding lawful money, or you demand lawful money and redeemed yourself from the FEDERAL ZONE and out the taxable jurisdiction under the power and control of Caesar. If GOLD is the currency of Kings, and SILVER is the currency of Gentlemen, and BARTER is the currency of peasants, THEN debt is currency of SLAVES! So then, MANY people have indeed chosen by their actions to be a SLAVES rather than a King and/or Gentlemen, because they are unwilling to OVERCOME this world and learn what they need to apply so that the physical world no longer holds power over them. And, like it or not, or, agree with this or not, all things happening in this physical world has a direct connection to spiritual matters. So then, learn how to STOP ENDORSING PRIVATE CREDIT and DEMAND LAWFUL MONEY! And, by doing so, you will also be declaring that you indeed are REDEEMED WITHOUT MONEY, but by blood, so that your faith is now with works that back up your claim to having faith. “But why do you call Me ‘Lord, Lord,’ and not do the things which I say?” Yehoshuah walked on the waters of the commercial world of His day and by doing that He set an example for ALL people to follow, no exceptions. He commanded and controlled His PUBLIC life by and through the power of His Private Life and Relationship (Trust) with His Father. He kept, which is to fulfill, the Law of the Trust that He was bound in agreement too, else Men would have no reason to have faith much less a valid place to Entrust. It is a warped religious organization that does not teach the truth about the Ages. What is really ugly is the vast majority of RELIGIOUS ORGANIZATIONS (501c3’s) are exactly that… warped, because they do not teach the doctrines of the Law of God, but rather the traditions of men. If you do not chose to learn what you need to learn so that you can fulfill, “Come out of her, my people, lest you share in her sins, and lest you receive of her plagues,” then all that you have been doing is making a use of a fiat-fictional currency, which involves you in directly DEBT and the expansion of the national debt. So then, the connection of Spiritual to Physical is this… if you do not redeem the currency then how can you claim to be redeemed by the blood of Christ? You will be swimming in SIN, which is DEBT, if you do not redeem the currency, or claim to be Redeemed by His Blood. Do you see the connection? There is a connection whether you agree with this or not. This world and this AGE was designed to test this very thing! Everything of this physical world is a type of the Spiritual! In addition, the weapons of our warfare are spiritual and are therefore unseen. The fact is the affects of the world of fiat currency (usury, interest, unbalanced scales, unequal weights and measures) is unseen, but it is felt, and its affects are made known as they do manifest. Ergo the NATIONAL DEBT! The purpose is all about testing your faith in light of the Biblical Maxim, “No man can serve two masters.” If you choose not to redeem the currency into Lawful Money, then how are you doing the things that Jesus said one is to be doing? “But why do you call Me ‘Lord, Lord,’ and not do the things which I say? DO NOT DO THE THINGS WHICH I SAY! To be involved in and with the National Debt IS TO BE involved in SIN. How can one so involved be doing the things which He commanded?! There is salvation by simple belief unto faith, and this is for those of the outer court of the Temple, but then there is also the elect who will rule with Yehoshuah in His Throne. “To him who overcomes I will grant to sit with Me on My throne, as I also overcame and sat down with My Father on His throne.” (Rev 3:21) Which one do you intend to be, and why would He put someone in His throne that does not understand how God’s system of Commerce works righteously and fairly for ALL, no exceptions? Notice I said commerce, NOT capitalism! The difference is in God’s system of Commerce every one wins! But, in capitalism, which warps Godly Commerce into profitable enterprises for the selfish and greedy, there are winners and losers. This goes directly against the Law of God and His Will for ALL things to be EQUAL and BALANCED. (See DEUT 25:13-16 and Proverbs 11:1) Do you see the difference? Do you understand the importance of this delineation. I can only hope and pray that you do, for without such knowledge, understanding and wisdom salvation could hang in the balance. So then, what are you going to do with this knowledge now that you have read all the way to this point? You do realize that by being informed of this choice that you have automatically incurred a duty and obligation unto doing the wise thing according your understanding and knowledge of these things. Be mindful that you are now with knowledge that many will flat-out reject without evidence to the contrary. Take care to not be one of these and as always, use this knowledge in concert with, “Be wise as a serpent and as harmless as a dove.” For, “When a man’s ways please the Lord, He makes even his enemies to be at peace with him.” So then, resolve to BE the PEACEMAKER and be recognized to be an Ambassador for Christ. In another post, a poster attempted to explain that they used THEIR MONEY to set off a debt. 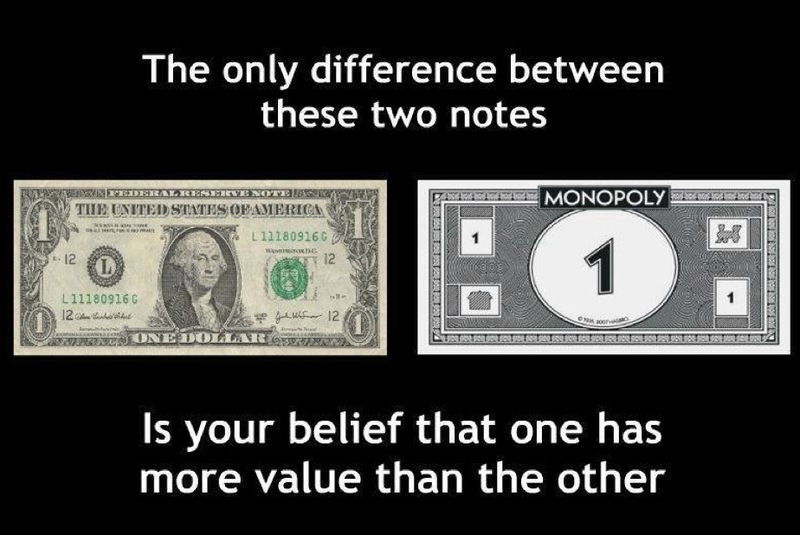 Without more detail to explain exactly what they did as well as to vet and validate their claim, I proceeded to point out with the question, “How does one pay a debt with a debt note?” For FEDERAL RESERVE NOTES being a fiat currency is a note of debt in their default form. UNLESS one avoids that pitfall and elects instead to make use of Lawful Money. This can only be done with a demand that the currency be redeemed, else it is not redeemed and is a debt not by default. 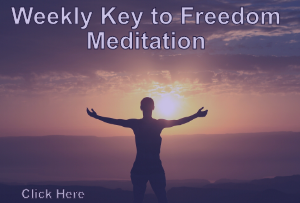 Everything that one experiences in this physical world has spiritual ramifications. This is why, “For the weapons of our warfare are not carnal but mighty in God for pulling down strongholds, casting down arguments and every high thing that exalts itself against the knowledge of God, bringing every thought into captivity to the obedience of Christ, and being ready to punish all disobedience when your obedience is fulfilled.” (2 Cor 10:4-6). What is learned of the Spirit is demonstrated by and through the physical. So then, if one refuses to redeem for lawful money and thus exit the Federal Reserve Zone of Sin and Debt, then how shall they claim that they are redeemed by the Blood of the Lamb of God? Is it not written that faith without works is dead. So then, if you claim to have faith, then just don’t say that you have it, show it by your works. Else do not speak of the matter until you do. What I am saying is that if lawful money is not demanded to redeemed the claim of there being a debt then the books have not been balanced to zero and the debt still does exist. For a debt not cannot and never will pay a debt IN Law! This a fact of basic algebraic mathematics. A negative plus a negative does not and never will equal a positive. [ -2 + -2 <> 4 | -2 + -2 = -4 ] And what one has actually done has expanded the debt and is directly involved in increasing the national debt. This is the end result of a little bit of ignorance and a lot of presumption with do. Therefore, the debt/sin was not settled, extinguished and closed. For Caesar has no willingness to oblige anyone who does not have enough knowledge know these things, nor is willing to learn them of their own initiative. 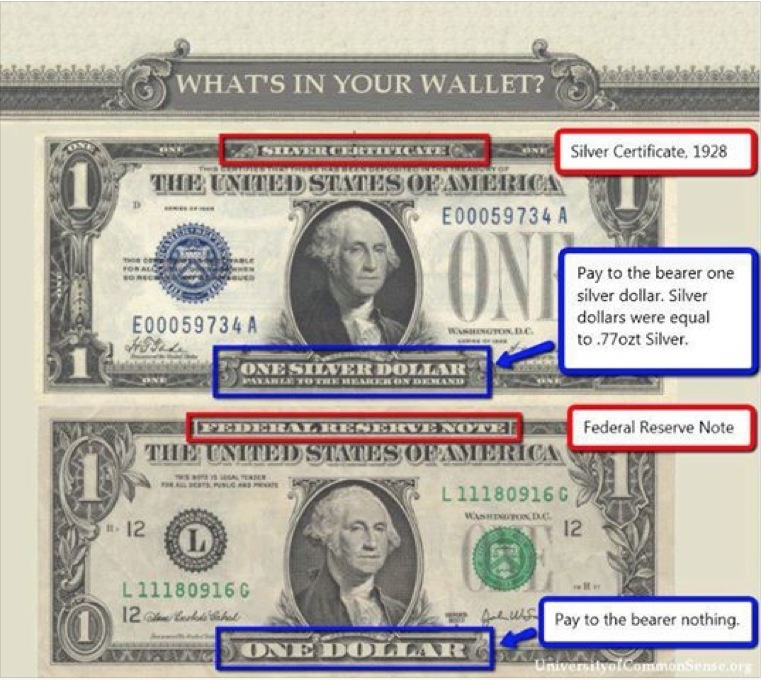 The key comes with understanding how one is endorsing the private credit of the private FEDERAL RESERVE BANK because IF one does not declare their intent to STAY OUT OF THEIR FEDERAL ZONE, then by the design of that fiat currency note, one has volunteer into that zone and is under the jurisdiction thereof wherein no man can serve two masters. And, since Caesar’s world is a world that operates on the Rule of Bankruptcy, Debt, and Usury, then this reflects that one has determined for another man to be their king just as Israel did in 1 SAM 8. Unfortunately this article, in attempting to make a point about the evil inherent in the federal reserve system, sounds like a Sunday sermon in a fundamentalist church. While I support much of the fundamental message of the sermon, the terminology is couched in a dogma that causes the skin on the back of my neck to crawl. I firmly believe that the golden rule expresses a universal guidance that we must all strive to follow.